For other uses, see Siege of Tripoli (disambiguation). The siege of Tripoli by the Mamluks in 1289. The Fall of Tripoli was the capture and destruction of the Crusader state, the County of Tripoli (in what is modern-day Lebanon), by the Muslim Mamluks. The battle occurred in 1289 and was an important event in the Crusades, as it marked the capture of one of the few remaining major possessions of the Crusaders. The event is represented in a rare surviving illustration from a now fragmentary manuscript known as the 'Cocharelli Codex', thought to have been created in Genoa in the 1330s. 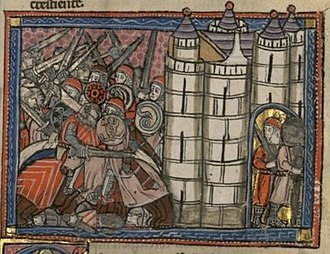 The image shows the countess dowager Sibylla of Armenia and Barthélémy Mansel, Bishop of Tortosa (granted the apostolic seat in 1278) sitting in state in the centre of the fortified city, and Qalawun's assault in 1289, with his army depicted massacring the inhabitants fleeing to boats in the harbour and to the nearby island of St Thomas. The County of Tripoli, though founded as a Crusader State and predominantly Christian, had been a vassal state of the Mongol Empire since around 1260, when Bohemond VI, under the influence of his father-in-law Hethum I, King of Armenia, preemptively submitted to the rapidly advancing Mongols. Tripoli had provided troops to the Mongols for the 1258 sack of Baghdad, as well as for the 1260 Mongol invasions of Syria, which caused even further friction with the Muslim world. After the destruction of Baghdad and the capture of Damascus, which were the centers of the Abbasid and Ayyubid caliphates, by the Khan Hulegu, Islamic power had shifted to the Egyptian Mamluks based in Cairo. Around the same time, the Mongols were slowed in their westward expansion by internal conflicts in their thinly spread Empire. The Mamluks took advantage of this to advance northwards from Egypt, and re-establish dominion over Palestine and Syria, pushing the Ilkhans back into Persia. The Mamluks attempted to take Tripoli in the 1271 siege, but were instead frustrated in their goal by the arrival of Prince Edward in Acre that month. They were persuaded to agree to a truce with both Tripoli and Prince Edward, although his forces had been too small to be truly effective. The Mongols, for their part, had not proven to be staunch defenders of their vassal, the Christian state of Tripoli. Abaqa Khan, the ruler of the Ilkhanate, who had been sent envoys to Europe in an attempt to form a Franco-Mongol alliance against the Muslims, had died in 1282. He was succeeded by Tekuder, a convert to Islam. Under Tekuder's leadership, the Ilkhanate was not inclined to defend vassal Christian territories against Muslim encroachment. This enabled the Mamluks to continue their attacks against the remaining coastal cities which were still under Crusader control. Tekuder was assassinated in 1284 and replaced by Abaqa's son Arghun, who was more sympathetic to Christianity. He continued his father's communications with Europe towards the possibility of forming an alliance, but still did not show much interest in protecting Tripoli. However, the Mamluks continued to expand their control, conquering Margat in 1285, and Lattakiah in 1287. The Mamluk Sultan Qalawun still had an official truce with Tripoli, but the Christians afforded him an opportunity to break it. 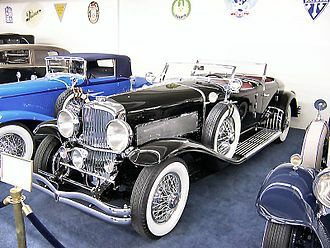 The Christian powers had been pursuing an unwise course. Rather than maintaining a united front against the Muslims, they had fallen into bickering among themselves. After Bohemond VII's premature death in from 1287, his sister Lucia of Tripoli, living in Apulia with her husband Narjot de Toucy (died 1293), rightfully should have succeeded him. Two other sisters, Isabelle (who died young) and Marie (m. Nicholas II of Saint Omer), had predeceased him. His mother Sibylla of Armenia however, attempted to reappoint the Bishop of Tortosa Barthélémy Mansel to rule on her behalf. According to the 'Templar of Tyre', the knights "learned that she was going to summon the bishop of Tortosa, with whom they had conflict and contention and great disagreement. ...They resolved not to tolerate this, and they went to the princess...and told her that the bishop was their enemy, and that they would not have him to rule over them at this time." Sibylla ultimately was unsuccessful because Lucia arrived to claim leadership. After Bohemond VII's death in 1287, his mother the dowager countess Sibylla of Armenia attempted to appoint the Bishop of Tortosa Barthélémy Mansel to ruler on her behalf. The knights and barons united in 1288 to countermand the Bohemond family's dynastic claims and replace it with a republican style commune under the leadership of Bartolomeo Embriaco of Gibelet, Lord of Besmedin in Jubail. They petitioned Genoa for support. 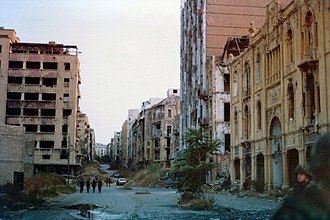 The Genoese consuls agreed, on the condition that they receive larger quarters in the old part of Tripoli and increased residency privileges. Benedetto Zaccaria (c.1235-1307), an adroit Genoese merchant magnate was seconded to Tripoli to negotiate terms. Benedetto had no scruples about brokering secret and conflicting compacts. He persuaded Lucia to extend Genoa's concessions, on the threat, according to the Templar of Tyre, of bringing out fifty galleys from Genoa and assuming control himself. 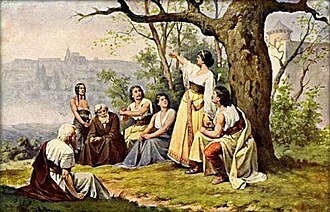 Bartolomeo also secretly negotiated with Lucia, agreeing to recognise her title provided she accept the authority of the commune and not grant the Genoese any additional concessions. When the arrangements between Lucia and Benedetto became public, concern was voiced about the unfair advantage of Genoese maritime trading operations in the region. The 'Templar of Tyre' reports that "two people went down to Alexandria" to apprise the sultan that the Genoese, if left unchecked, would potentially dominate the Levant and obstruct or eliminate Mamluk trade: "the Genoese will pour into Tripoli from all sides; and if they hold Tripoli, they will rule the waves, and it will happen that those who will come to Alexandria will be at their mercy ... This thing bodes very ill for the merchants who operate in your kingdom". The communication produced an immediate effect. With an excuse to break his truce with Tripoli, Qalawun embarked on military preparations to attack Tripoli. Qalawun started the siege of Tripoli in March 1289, arriving with a sizable army and large catapults. In response, Tripoli's Commune and nobles gave supreme authority to Lucia. In the harbor at the time, there were four Genoese galleys, two Venetian galleys, and a few small boats, some of them Pisan. Reinforcements were sent to Tripoli by the Knights Templar, who sent a force under Geoffrey of Vendac, and the Hospitallers sent a force under Matthew of Clermont. A French regiment was sent from Acre under John of Grailly. King Henry II of Cyprus sent his young brother Amalric with a company of knights and four galleys. Many non-combatants fled to Cyprus. The Mamluks fired their catapults, two towers soon crumbled under the bombardments, and the defenders hastily prepared to flee. The Mamluks overran the crumbling walls, and captured the city on April 26, marking the end of an uninterrupted Christian rule of 180 years, the longest of any of the major Frankish conquests in the Levant. Lucia managed to flee to Cyprus, with two Marshals of the Orders and Almaric of Cyprus. The commander of the Temple Peter of Moncada was killed, as well as Bartholomew Embriaco. The population of the city was massacred, although many managed to escape by ship. Those who had taken refuge on the nearby island of Saint-Thomas were captured by the Mamluks on April 29. Women and children were taken as slaves, and 1200 prisoners were sent to Alexandria to work in the Sultan's new arsenal. In the area of Tripoli, only the fief of Gibelet (modern Byblos) remained free from Mamluk conquest, for about 10 more years. Tripoli was razed to the ground, and Qalawun ordered a new Tripoli to be built on another spot, a few miles inland at the foot of Mount Pilgrim. Soon other nearby cities were also captured, such as Nephin and Le Boutron. Peter of Gibelet kept his lands around Gibelet (modern Byblos) for about 10 more years, in exchange for the payment of a tribute to the Sultan. 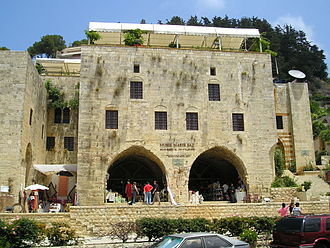 Two years later Acre, the last major Crusader outpost in the Holy Land was also captured in the Siege of Acre in 1291. It was considered by many historians to mark the end of the Crusades, though there were still a few other territories being held to the north, in Tortosa and Atlit. However the last of those, the small Templar garrison on the island of Ruad was captured in 1302 or 1303 in a siege. With the Fall of Ruad, the last bit of Crusader-held land in the Levant was lost. ^ K. Eubel, ed. Hierarchia catholica medii aevi, I Monasterii, sumptibus et typis librariae Regensbergianae,  1913, 92. On Mansel genealogy see W. H Rudt de Collenberg, "A Fragmentary Copy of an Unknown Recension of the 'Lignages d'Outre-Mer' in the Vatican Library", English Historical Review, 98/ 387 (1983), 320-5. ^ British Library Additional MS 27695 f. 5. http://www.bl.uk/catalogues/illuminatedmanuscripts/record.asp?MSID=8334 (accessed 14 April 2017); Faunce, The Cocharelli Codex, Chapter 8. ^ Faunce, The Cocharelli Codex, Chapter 8. '^ Cited in P. F. Crawford, The 'Templar of Tyre' Part II of the 'Deeds of the Cypriots, Crusade Texts in Translation London: Ashgate, 2003, 467: 96. Also see Runciman, The Kingdom of Acre, 404-5. ^ On these dealings see the 'Templar of Tyre', 468-72, 96-8. ^ 'Templar of Tyre', 473-4, 98-9. ^ Tyerman, p.817: "Tripoli followed in 1289, after 180 years of uninterrupted Christian rule, the longest of any of the major Frankish conquests." Faunce, R., "The Cocharelli Codex. Illuminating Virtue: A Fourteenth-century Father's Counsel to his Son", PhD The University of Melbourne, 2016. Eubel, K. ed., Hierarchia catholica medii aevi, I, Monasterii, sumptibus et typis librariae Regensbergianae,  1913. Richard, J., The Crusades c.1071-c.1291, trans. J. Birrell, Cambridge University Press, 1999. Rudt de Collenberg, W. H., "A Fragmentary Copy of an Unknown Recension of the 'Lignages d'Outre-Mer' in the Vatican Library", English Historical Review, 98/ 387 (1983), 311-327. The Siege of Nicaea took place from May 14 to June 19,1097, during the First Crusade. 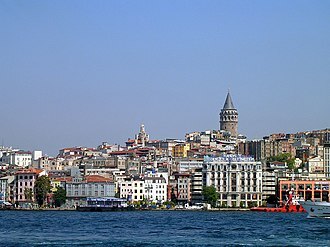 Nicaea, located on the shore of Lake İznik, had been captured from the Byzantine Empire by the Seljuk Turks in 1081. In 1096, the Peoples Crusade, the first stage of the First Crusade, had plundered the surrounding the city. As a result, Sultan Kilij Arslan I initially felt that the wave of crusaders were not a threat. He left his family and his treasury behind in Nicaea and went east to fight the Danishmends for control of the Melitene, the crusaders began to leave Constantinople at the end of April 1097. 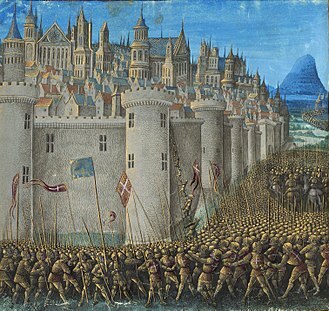 They arrived on May 6, severely short on food, but Bohemond arranged for food to be brought by land and they put the city to siege beginning on May 14, assigning their forces to different sections of the walls, which were well-defended with 200 towers. Bohemond camped on the side of the city, Godfrey on the south. On May 16, the Turkish defenders sallied out to attack the crusaders, the Turks sent messages to Kilij Arslan begging him to return, and when he realized the strength of the crusaders he quickly turned back. An advance party was defeated by troops under Raymond and Robert of Flanders on May 20, and on May 21, losses were heavy on both sides but in the end the Sultan retreated, despite the pleas of the Nicaean Turks. The rest of the crusaders arrived throughout the rest of May, with Robert Curthose, meanwhile Raymond and Adhemar built a large siege engine, which was rolled up to the Gonatas Tower in order to engage the defenders on the walls while miners mined the tower from below. The tower was damaged but no progress was made. Byzantine emperor Alexios I chose not to accompany the crusaders, but marched out behind them and made his camp at nearby Pelecanum. From there, he sent boats, rolled over the land, to help the crusaders blockade Lake Ascanius, the boats arrived on June 17, under the command of Manuel Boutoumites. The general Tatikios was sent, with 2,000 foot soldiers, Alexios had instructed Boutoumites to secretly negotiate the surrender of the city without the crusaders knowledge. This was done, and on June 19 the Turks surrendered to Boutoumites, when the crusaders discovered what Alexios had done, they were quite angry, as they had hoped to plunder the city for money and supplies. The name refers to other territorial gains made by medieval Christendom against Muslim and pagan adversaries. The Crusader States in the Levant were the Kingdom of Jerusalem, the Principality of Antioch, the County of Tripoli, the Eastern Romans, or Byzantines, partially recovered lost territory on numerous occasions but over time gradually lost all but Anatolia and parts of Thrace and the Balkans. In the West, the Roman Catholic kingdoms of northern Iberia launched a series of known as the Reconquista to reconquer the peninsula from the Arabized Berbers known as Moors. The conquered Iberian principalities are not customarily called Crusader states, except for the Kingdom of Valencia, professor Barber indicates that, in the Crusader State of the Kingdom of Jerusalem the Holy Sepulchre was added to in the 7th century and rebuilt in 1022, after a previous collapse. The situation represented an existential threat for the Eastern Orthodox Byzantine Empire. The Emperor sent a plea to the Pope in Rome to send military aid with the goal of restoring the formerly Christian territories to Christian rule, the result was a series of western European military campaigns into the eastern Mediterranean, known as the Crusades. The first four Crusader states were created in the Levant immediately after the First Crusade, The first Crusader state, the Principality of Antioch, founded in 1098, lasted until 1268. The Kingdom of Jerusalem, founded in 1099, lasted until 1291, the Armenian Kingdom of Cilicia had its origins before the Crusades, but was granted the status of a kingdom by Pope Innocent III, and became fully westernized by the Lusignan dynasty. During the Third Crusade, the Crusaders founded the Kingdom of Cyprus, Richard I of England conquered Cyprus on his way to Holy Land. The Templars promptly returned the island to Richard who resold it to the displaced King of Jerusalem Guy of Lusignan in 1192. For much of its history under the Lusignan Kings, Cyprus was a prosperous Medieval Kingdom, the Kingdoms decline began when it became embroiled in the dispute between the Italian Merchant Republics of Genoa and Venice. Indeed, the Kingdoms decline can be traced to a war with Genoa in 1373–74 which ended with the Genoese occupying the principal port City of Famagusta. The Bahriyya Mamluks or Bahri dynasty was a Mamluk dynasty of mostly Cuman-Kipchak Turkic origin that ruled the Egyptian Mamluk Sultanate from 1250 to 1382. They followed the Ayyubid dynasty, and were succeeded by a second Mamluk dynasty and she married the Atabeg Emir Aybak and abdicated, Aybak becoming Sultan. He ruled from 1250 to 1257, the Mamluks consolidated their power in ten years and eventually established the Bahri Mamluks. They were helped by the Mongols sack of Baghdad in 1258, Cairo became more prominent as a result and remained a Mamluk capital thereafter. In 1260 the Mamluks defeated a Mongol army at the Battle of Ain Jalut in present-day Israel, the defeat of the Mongols at the hands of the Mamluks enhanced the position of the Mamluks in the southern Mediterranean basin. Baibars, one of the leaders at the battle, became the new Sultan after the assassination of Sultan Qutuz on the way home. 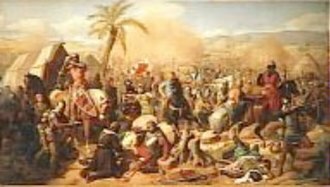 In 1250 Baibars was one of the Mamluk commanders who defended Al Mansurah against the Crusade knights of Louis IX of France, Baibars had taken part in the Mamluk takeover of Egypt. Many Tatars settled in Egypt and were employed by Baibars and he defeated the Mongols at the battle of Elbistan and sent the Abbasid Caliph with only 250 men to attempt to retake Baghdad, but was unsuccessful. In 1266 he devastated Cilician Armenia and in 1268 he recaptured Antioch from the Crusaders, in addition, he fought the Seljuks, and Hashshashin, he extended Muslim power into Nubia for the first time, before his death in 1277. Sultan Qalawun defeated a rebellion in Syria that was led by Sunqur al-Ashqar in 1280, after the Mongol threat passed he recaptured Tripoli from the Crusaders in 1289. His son Khalil captured Acre, the last Crusader city, in 1291, the Mongols renewed their invasion in 1299, but were again defeated in 1303. The Egyptian Mamluk Sultans entered into relations with the Golden Horde who converted to Islam, Sultan Al-Nasir Muhammad married a Mongol princess in 1319. Al-Nasir Muhammad organized the re-digging of a canal in 1311 which connected Alexandria with the Nile, the constant changes of sultans that followed led to great disorder in the provinces. Qalāwūn aṣ-Ṣāliḥī was the seventh Bahri Mamluk sultan, he ruled Egypt from 1279 to 1290. Qalawun was a Kipchak who became a mamluk in the 1240s after being sold to a member of Sultan al-Kamils household, Qalawun was known as al-Alfī because as-Salih Ayyub bought him for a thousand dinars of gold. Qalawun initially barely spoke Arabic, but he rose in power and influence and became an emir under Sultan Baibars, whose son, Baibars died in 1277 and was succeeded by Barakah. In early 1279, as Barakah and Qalawun invaded the Armenian Kingdom of Cilicia and he was succeeded by his brother Solamish, but it was Qalawun, acting as atabeg, who was the true holder of power. Because Solamish was only seven years old, Qalawun argued that Egypt needed an adult ruler, as a result, Qalawun took the title al-Malik al-Manṣūr. The governor of Damascus, did not agree with Qalawuns ascent to power, sungurs claim of leadership, was repelled in 1280, when Qalawun defeated him in battle. In 1281, Qalawun and Sungur reconciled as a matter of convenience when Abaqa Khan, head of the Ilkhanate and Sungur, working together, successfully repelled Abaqas attack at the Second Battle of Homs. Barakah and their brother Khadir were exiled to al-Karak, Barakah died there in 1280, and Khadir gained control of the castle, until 1286 when Qalawun took it over directly. In 1290, he concluded trade alliances with the Republic of Genoa, undeterred by the terms of these newly formed peace treaties, Qalawun sacked the impregnable Hospitaller fortress of Margat in 1285, and established a Mamluk garrison there. He captured and destroyed the castle of Maraclea and he captured Latakia in 1287 and Tripoli on April 27,1289, thus ending the Crusader County of Tripoli. The siege of Tripoli in 1289 was spurred by the Venetians and the Pisans, in 1290, reinforcements of King Henry arrived in Acre and drunkenly slaughtered peaceable merchants and peasants and Muslims alike. Qalawun sent an embassy to ask for an explanation and above all to demand that the murderers be handed over for punishment, the Frankish response was divided between those who sought to appease him and those who sought a new war. The County of Tripoli was the last of the Crusader states. It was founded in the Levant in the region of Tripoli, northern Lebanon and parts of western Syria which supported an indigenous population of Christians, Druze. When the Crusaders, captured the region in 1109, Bertrand of Toulouse became the first Count of Tripoli as a vassal of King Baldwin I of Jerusalem. From that time, rule of the county was decided not strictly by inheritance but by such as military force, favour. In 1289 the County of Tripoli fell to Sultan Qalawun of the Muslim Mamluks of Cairo, the county was absorbed into Mamluk Egypt. Raymond IV of Toulouse was one of the wealthiest and most powerful of the Prince Crusaders, even so, after the First Crusade, he had failed to secure any land holdings in the Near East. Meanwhile, the County of Edessa, the Kingdom of Jerusalem, Tripoli was an important strategic goal as it linked the French in the south with the Normans in the north. It was a fertile and well populated area, in 1102, Raymond IV occupied Tortosa and in 1103, he prepared, together with veterans of the 1101 crusade, to take Tripoli. On a natural ridge, which he named Mons Peregrinus,3 kilometres from Tripoli, Raymond IV began the construction of a large castle, despite this new fortress and seasoned troops, Raymond IVs siege of Tripoli failed to secure the port. He died on 25 February 1105, Bertrand of Toulouse, who was supported by Baldwin I of Jerusalem, arrived in the Near East with a substantial army and a large Genoese fleet. In order to resolve the issue, Baldwin I created a partition treaty. It specified that William was to hold northern Tripoli and pay homage to Tancred while Bertrand was to hold south Tripoli as a vassal of Baldwin, under a united Christian onslaught, Tripoli fell on 12 July 1109, completing the Kingdom of Jerusalem. When William died of an arrow through the heart, Bertrand became the first Count of Tripoli, the extent of the County of Tripoli was determined in part by pre-existing Byzantine borders and in part by victory in battle, tempered by the demands of neighbouring crusader states. At its height, the county controlled the coastline from Maraclea in the north to Beirut in the south, the countys control extended to the Krac des Chevaliers fortress. The Siege of Xerigordon pitted 6,000 Germans of the Peoples Crusade under Reinald against the Turks commanded by Elchanes, general of Kilij Arslan I, the Seljuk Sultan of Rûm. 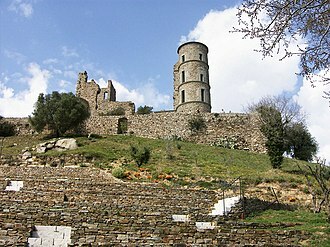 The crusader raiding party captured the Turkish fort of Xerigordon, about four days march from Nicaea, Elchanes arrived three days and besieged the crusaders. The defenders had no water supply, and after eight days of siege, some of the crusaders converted to Islam, while others who refused were killed. The army of the Peoples Crusade landed in Asia Minor on August 6,1096, the young Sultan, Kilij Arslan I, was in the middle of a military campaign to the east, fighting the Danishmend emirate. While waiting for the crusader army, the disorganized People’s Crusade army began to attack the villages surrounding Nicaea. The Norman raiding party returned unhindered many times with their booty, Reinald led 6,000 Germans, including 200 knights, on similar raids. Reinald was unsatisfied with the pillaging results near Nicaea and went farther to Xerigordon, on September 18,1096, Reinald easily defeated the Xerigordon garrison. Kilij Arslan ordered his general, Elchanes, to deal with the raiding parties with his troops. Elchanes arrived three days after Reinald occupied Xerigordon, on September 21 and besieged the crusaders tightly, the speed of the Turkish mounted troops surprised the Germans, they had not expected to be besieged and were unprepared and without adequate supplies. Some accounts mentioned that Turks sent two spies to the Crusaders camp at Civetot to make them think that Xerigordon was still safe, and even that Nicaea had been conquered by Reinald. Other accounts mentioned that Crusader leaders on the field were forced by their troops to advance, for eight days, the Crusaders resisted thirst and a rain of arrows and smoke from the Turks. After, the leader of the Germans offered to surrender and to fight for the Turks, the fort surrendered on September 29,1096. Some of the Crusaders who converted to Islam became slaves, while others who refused to abandon their faith were killed, there are various accounts on Reinalds fate. The Battle of Ascalon took place on August 12,1099 shortly after the capture of Jerusalem, and is often considered the last action of the First Crusade. The crusader army led by Godfrey of Bouillon defeated and drove off the numerically-superior Fatimid army, Jerusalem was captured from the Fatimids on July 15,1099, after a long siege, and immediately the crusaders learned that a Fatimid army was on its way to besiege them. Godfrey of Bouillon was named Defender of the Holy Sepulchre on July 22, Fatimid ambassadors arrived to order the crusaders to leave Jerusalem, but they were ignored. When the Egyptian presence was confirmed, they marched out as well the next day, near Ramla, they met Tancred and Godfreys brother Eustace, who had left to capture Nablus earlier in the month. 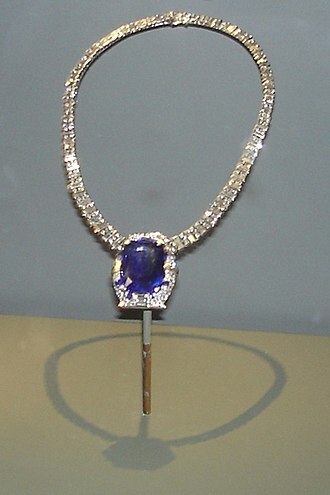 At the head of the army, Arnulf carried the relic of the Cross, the Fatimids were led by vizier al-Afdal Shahanshah, who commanded perhaps as many as 50,000 troops. His army consisted of Seljuk Turks, Persians, Kurds and he was intending to besiege the crusaders in Jerusalem, although he had brought no siege machinery with him, he did however have a fleet, assembling in the port of Ascalon. The precise number of crusaders is unknown, but the number given by Raymond of Aguilers is 1,200 knights and 9,000 infantry, the highest estimate is 20,000 men but this is surely impossible at this stage of the crusade. On August 11 the crusaders found oxen, camels, according to captives taken by Tancred in a skirmish near Ramla, the animals were there to encourage the crusaders to disperse and pillage the land, making it easier for the Fatimids to attack. However, al-Afdal did not yet know the crusaders were in the area and was not expecting them. In any case, these animals marched with them the next morning exaggerating the appearance of their army, on the morning of the 12th, crusader scouts reported the location of the Fatimid camp and the army marched towards it. According to most accounts, the Fatimids were caught unprepared and the battle was short, the two main lines of battle fought each other with arrows until they were close enough to fight hand-to-hand with spears and other hand weapons. The Ethiopians attacked the centre of the line, and the Fatimid vanguard was able to outflank the crusaders and surround their rearguard. Despite his numerical superiority, al-Afdals army was hardly as strong or dangerous as the Seljuk armies that the crusaders had encountered previously, the battle seems to have been over before the Fatimid heavy cavalry was prepared to join it. Al-Afdal left behind his camp and its treasures, which were captured by Robert, crusader losses are unknown, but the Egyptians lost about 10–12,000 men. The crusaders spent the night in the camp, preparing for another attack. They took as much plunder as they could, including the Standard and al-Afdals personal tent and they returned to Jerusalem on August 13, and after much celebration Godfrey and Raymond both claimed Ascalon. When the garrison learned of the dispute they refused to surrender, after the battle, almost all of the remaining crusaders returned to their homes in Europe, their vows of pilgrimage having been fulfilled. The order was founded in 1119 and active from about 1129 to 1312. The order, which was among the wealthiest and most powerful, became a favoured charity throughout Christendom and grew rapidly in membership and they were prominent in Christian finance. Templar knights, in their distinctive white mantles with a red cross, were among the most skilled fighting units of the Crusades, the Templars were closely tied to the Crusades, when the Holy Land was lost, support for the order faded. Rumours about the Templars secret initiation ceremony created distrust, and King Philip IV of France – deeply in debt to the order – took advantage of the situation to control over them. In 1307, he had many of the members in France arrested, tortured into giving false confessions. Pope Clement V disbanded the order in 1312 under pressure from King Philip, the abrupt reduction in power of a significant group in European society gave rise to speculation and legacy through the ages. The re-use of their name for organizations has kept the name Templar alive to the modern day, after Europeans in the First Crusade recovered Jerusalem in 1099, many Christians made pilgrimages to various sacred sites in the Holy Land. Although the city of Jerusalem was under relatively secure Christian control, in 1119, the French knight Hugues de Payens approached King Baldwin II of Jerusalem and Warmund, Patriarch of Jerusalem, and proposed creating a monastic order for the protection of these pilgrims. The Temple Mount had a mystique because it was above what was believed to be the ruins of the Temple of Solomon. The Crusaders therefore referred to the Al-Aqsa Mosque as Solomons Temple, and from this location the new order took the name of Poor Knights of Christ and the Temple of Solomon, or Templar knights. 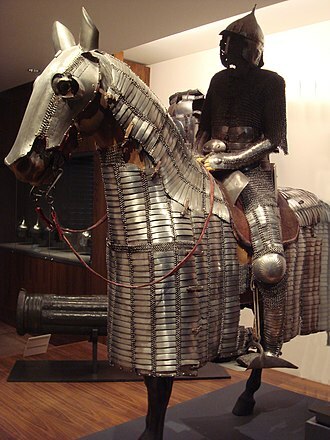 The order, with about nine knights including Godfrey de Saint-Omer and André de Montbard, had few financial resources and their emblem was of two knights riding on a single horse, emphasising the orders poverty. The impoverished status of the Templars did not last long, another major benefit came in 1139, when Pope Innocent IIs papal bull Omne Datum Optimum exempted the order from obedience to local laws. This ruling meant that the Templars could pass freely through all borders, were not required to pay any taxes, with its clear mission and ample resources, the order grew rapidly. The First Crusade was the first of a number of crusades that attempted to capture the Holy Land, called by Pope Urban II in 1095. An additional goal became the principal objective—the Christian reconquest of the sacred city of Jerusalem and the Holy Land. During the crusades, knights and serfs from many regions of Western Europe travelled over land and by sea, first to Constantinople and on towards Jerusalem. The Crusaders arrived at Jerusalem, launched an assault on the city and they established the crusader states of the Kingdom of Jerusalem, the County of Tripoli, the Principality of Antioch, and the County of Edessa. The First Crusade was followed by the Second to the Ninth Crusades and it was the first major step towards reopening international trade in the West since the fall of the Western Roman Empire. The majority view is that it had elements of both in its nature, the origin of the Crusades in general, and particularly that of the First Crusade, is widely debated among historians. The confusion is due to the numerous armies in the first crusade. The similar ideologies held the armies to similar goals, but the connections were rarely strong, the Umayyad Caliphate had conquered Syria and North Africa from the predominantly Christian Byzantine Empire, and Hispania from the Visigothic Kingdom. In North Africa, the Umayyad empire eventually collapsed and a number of smaller Muslim kingdoms emerged, such as the Aghlabids, who attacked Italy in the 9th century. Pisa and the Principality of Catalonia began to battle various Muslim kingdoms for control of the Mediterranean Basin, exemplified by the Mahdia campaign and battles at Majorca and Sardinia. Essentially, between the years 1096 and 1101 the Byzantine Greeks experienced the crusade as it arrived at Constantinople in three separate waves, in the early summer of 1096, the first large unruly group arrived on the outskirts of Constantinople. This wave was reported to be undisciplined and ill-equipped as an army and this first group is often called the Peasants’ or People’s Crusade. Overview of historical districts in Tripoli. The first headquarters of the Knights Templar, on the Temple Mount in Jerusalem. The Crusaders called it "the Temple of Solomon" and from this location derived their name of Templar. 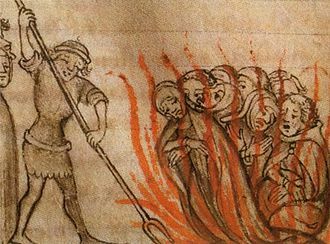 Templars being burned at the stake. 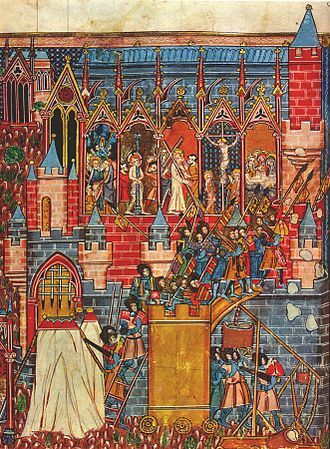 13th century depiction of the reconstruction of the temple of Jerusalem from the Old French translation of Guillaume de Tyr's Histoire d'Outremer. Peter Bartholomew undergoing the ordeal of fire, by Gustave Doré. Old Levantine Custom, Syrian and Lebanese men. 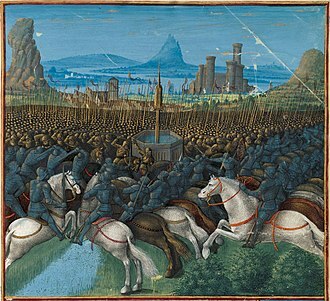 John II directs the siege of Shaizar while his allies sit inactive in their camp, French manuscript 1338. Crusaders coin, County of Tripoli, circa 1230. Crusader coin, County of Tripoli, circa 1230. Al-Nasir Muhammad Mosque in Cairo, which was commissioned by an-Nasir Muhammad, Qalawun's son, in 1318. King Sigurd and King Baldwin ride from Jerusalem to the river Jordan by Gerhard Munthe. Lucia of Tripoli, during the Fall of Tripoli in 1289. The Egyptian Mamluk Sultanate during the Bahri Dynasty.